Born on December 12th in 1752, William Beechey was one of the famous English painters amid the golden era of painting in the British world in the 17th and 18th century. William was born in the eighteenth century at Burford in Oxfordshire in Britain. He got his name from his own father, William Beechey who was a solicitor. His mother was Hannah Read. William lost both his parents while he was young and he was brought by his uncle Samuel along with his other siblings. Samuel was also a solicitor who lived in Chipping Norton, close to his parent’s place. His uncle had thought and planned to make sure that William opts for a career in the field of law. To make that thing happen, he got into being a clerk at an appropriate but young age. But he was destined and interested in the art of painting and records have been proving that loud over the years. After the creation of the united standing states of the Kingdom of Great Britain in 1707, the Art of United Kingdom was honoured by the numerous artists of the kingdom. This headline under its umbrella covered all forms and aspects of art which were either constructed within or associated with the United Kingdom. The forms and styles of art it talks about includes Scottish art, Irish art, Welsh art and of course English art along with few contributions from the Western world. The place of a leading contributor to the field of landscape art and portraiture was being claimed once again by Britain in the eighteenth century. The increased production or contribution was such a scale and appreciated among the people that many of the decorative arts were also exported. It was the Victorian period that marked the largest quantity produced of the forms of art and the collection was diverse than ever. In the year 1772, Beechey was enrolled in the Royal Academy Schools and it is said that he took classes under Johan Zoffany. His first painting exhibition was made in the year 1776. His work was not restricted to one single format or subject rather was diverse. He painted portraits which were available in all sizes i.e. from full length and small size paintings to conversation pieces as well which mainly revolved around Zoffany then. William later moved to Norwich in 1782 and he started to work on commissions. He portrayed Sir John Wodehouse in Norwich and alongside created a series of Civic portraits based upon the St. Andrew’s Hall of Norwich. He came to London in 1787. 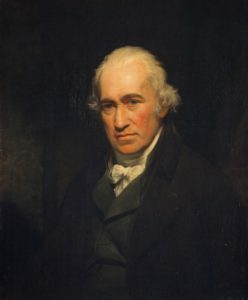 Later in 1789, a portrait of John Douglas, Bishop of Carlisle was exhibited by William. His career got the necessary pump and push from his works for Sir Joshua Reynolds and his portraits. From William’s work till date, one thing was clear that his style was suitable for the Royal families and their taste. Following this realization, he was hired to portrait Queen Charlotte in full length in 1793 and later on was the official painter for the crown. In the same year, he was a chosen associate member of the Royal Academy. Now that he was officially associated with the Royal Family, his commissioned works and association increased remarkably. This could be verified with the fact that in 1797, there were six paintings which he exhibited of the Royal Family. He became a full elected member of the Royal Academy in 1798. For the academy exhibition to be held in that year, he exhibited the Prince of Wales Reviewing Troops and George III. The composition by him was enormous and illustrates Price of Wales, King George III and some staff officers on horseback in Hyde Park and this was additionally imaginary. This work made an impression on the king himself and he made William a knighthood. At the end of the century, Beechey’s work was considered to be liveliest and colourful among all. 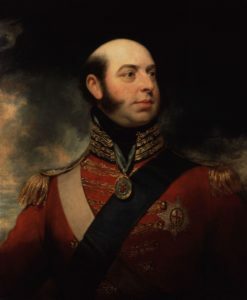 Despite the intervention of his young rivals in art, he was once again an official portrait painter in 1813 and this time for the Duke of Gloucester, Prince William Fredrick. This appointment lasted till 1830 under the rule of King William IV. He declared his retirement in 1836 in Hampstead and his studio along with his word were sold in June the same year. Beeckey had earned a good name as a painter and also for being generous to his students. Records say that he was helpful to young John Constable. He died on January 28th 1839. Despite being busy with his career and work, William had a life outside his studio as well. He was first married to Lady Mary Ann Jones in the 1770’s and she bore him 5 children as well. 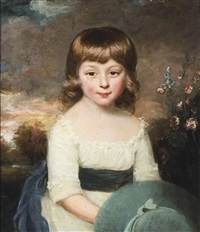 Among the five, it was Henry William Beechey who inherited his father’s talent and later was a famous painter as well. He got married again to a lady artist, Anne Phyllis Jessop in 1793 and they had 16 children together. Mirza Abu’l Hassan Khan, Envoy Extraordinary and Minister Plenipotentiary to the Court of King George III. George Douglas, 16th Earl of Morton in the dress of the Royal Company of Archers.